Maintain BUY, with a revised Target Price of SGD 0.77, from SGD0.80, 16% upside and 7.9% yield. Management is confident of exceeding minimum rent for CPCA next year. For MOS, the outlook was slightly more conservative, with a slight positive growth expected. MG rent reversions are expected to be flat to slightly positive in 2019, with tenant sales currently seeing healthy improvements. Yield accretion will be a key factor for any potential acquisition. Management doesn’t expect any impact to its master lease payments from the Lippo Group bribery investigation as there is no direct link to its sponsor OUE Group. CPCA – multiple catalysts ahead. Crowne Plaza Changi Airport’s (CPCA) underlying NPI was very close to the minimum rent threshold for 3Q. Management noted that breakeven RevPAR is c.SGD190 and is confident this should be exceeded in 2019. Key catalyst is the opening of The Jewel shopping mall next to its premises in 2Q19. The increase in flights frequency and network connectivity at Changi Airport should also boost passenger traffic and transit visitors benefitting the property. While Yotel (130 cabins) is expected to open next year, management doesn’t see it as a direct competitor, since guest profiles are different. Overall, it sees good RevPAR growth potential for the asset as the current levels are still 20-25% below the past peak levels. MOS - a slightly conservative outlook. Mandarin Orchard Singapore’s (MOS) 3Q performance was hit by one-off factors such as cancellations due to a typhoon in Japan and closure of main ballrooms, without which RevPAR would have been flattish. Management guided only for a flattish to slightly positive RevPAR growth next year, despite the hotel supply tapering, as it remains wary of a strong SGD which impacted some of its Indonesian visitors. Management sees some shift in demand from Orchard Road to Marina Bay area. MG – tenant sales improving, but challenges remain. Mandarin Gallery’s (MG) negative rent reversions for 3Q were mainly due to lease renewals on the upper floors (Level3 & Level4) which attract lower foot falls. Overall, tenant sales have improved this year with occupancy cost currently in high-teens. The mall still sees very strong demand from potential tenants for its lower floors which have frontage on Orchard road. Lease renewals for 2019 are spread across various floors, with flattish to slightly positive rent reversions expected. Oakwood Premier Singapore, is a pipeline asset and management will evaluate the merits of the deal. 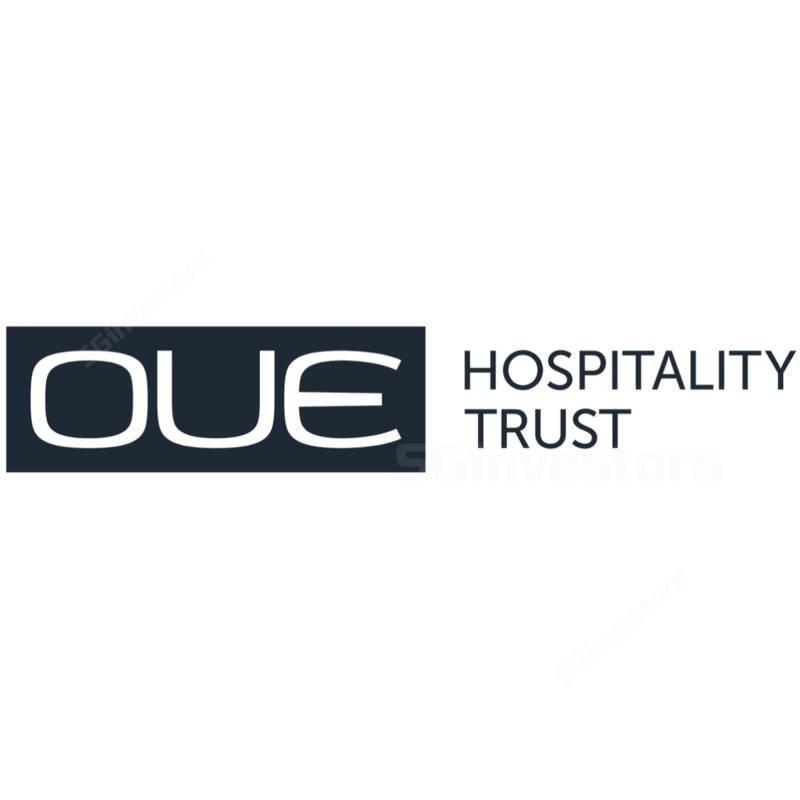 Our recent discussion with sponsor, OUE Group (SGX:LJ3), indicates asset is under gestation with occupancy at high 70%, NPI yields of c.4%, and might take a year more to stabilise. BUY, with a slightly lower Target Price of SGD0.77, from SGD 0.80. We have adjusted our FY19-20F DPU lower by 4-5%, factoring in the slightly lower growth for MOS and MG. The yields are attractive at c.8%, and we believe the stock is currently oversold on undue concerns over possible dilutive acquisitions and sponsors’ link to Lippo Group. Key risks are a strengthening SGD and a weaker-than-expected pick-up in corporate demand.